The main playground of Martin Luther Lutheran Church is getting a major addition. 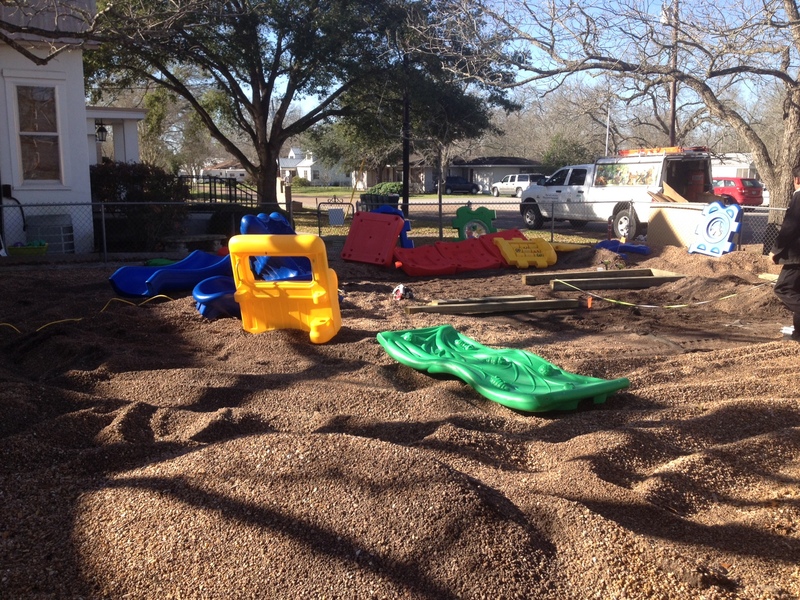 The new playground equipment is being installed this week. The old equipment was deteriorating significantly and was in need of replacement. Now the children of our Sunday School and the Martin Luther Lutheran School (MLLS) will have fresh and more exciting play equipment for recess and play times. We are very thankful to the the great number of generous donors who have given memorial gifts to MLLS in recent years. Through their kindness the congregation has been able to pay for the equipment and for professional installation of the new set. Thank you all very much for your donations, prayers and support. The kids are going to love it! We will have more photos soon of the completed set up.